This is a pdf printable coupon, valid until the end of June of this year, and you can print it by clicking the link below. Because this is a pdf coupon, you can print it as many times as you like. Being a pfd coupon though, there is only a barcode, which will be the same with every print. There is no unique code or PIN printed on the coupon. Keep in mind that some retailers may not accept this coupon in multiples, or at all, because it can have the appearance of a “copy.” You may want to use one at a time if you do print it multiple time. 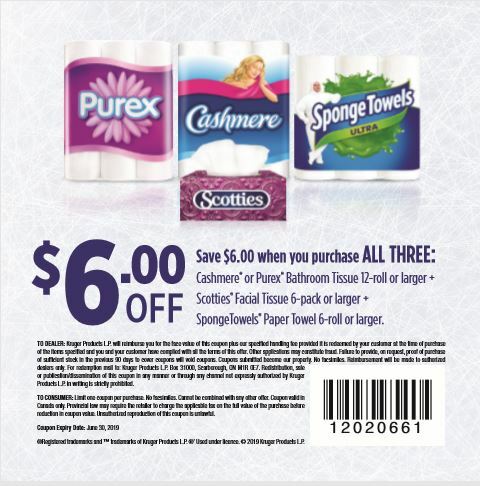 Click here to get your coupon for $6 off when you purchase all three Kruger products. My store will only accept printed coupons if website it is printed from is printed on the page. Any way to do this?